A stylish city of culture, Paris is home to a seemingly endless amount of world-class museums, sweeping boulevards, and charming sidewalk cafes. Once thought of as an unsightly wrought-iron spire, the Eiffel Tower now stands as the city’s most famous landmark, considered a masterpiece of architectural achievement and an iconic symbol of Paris. With the help of over 300 million visitors per year to HotelsCombined, we’ve highlighted 15 hotels in Paris where you can enjoy Eiffel Tower views. See the grand icon from the comfort of your hotel room, where you can wake up to a view of Parisian life below and toast to the postcard-perfect landmark illuminating the golden city at dusk. Standing in the shadows of the Eiffel Tower, Mercure Paris Centre Tour Eiffel is only a five-minute walk away from the Seine. Upgrade to an upper-floor Junior Suite for Eiffel Tower views along with modern black and white decor and amenities that include robes, Nespresso machines, and bathrooms with rainfall showerheads. Nestled in the 14th Arrondissement, the Palais de Chaillot, Trocadero and Musee Du Quai Branly are all located nearby on foot. Perfect for a sunny day in Paris, enjoy a meal at the garden terrace of the on-site Restaurant Le Jardin or grab a quick meal to go at the 24-hour shop. 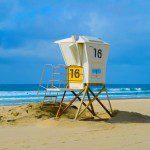 Ready to burn off all the delicious croissants you’ve consumed? Hit the gym at this hotel, as you’ll be rewarded with Eiffel Tower views as you sweat out the calories. 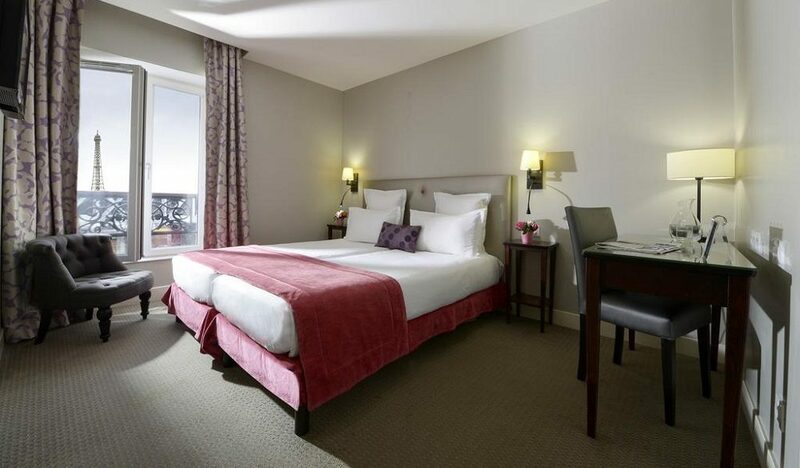 Located in the heart of Paris, Ibis Paris Tour Eiffel is an ideal choice for budget-savvy travelers Featuring an array of modern rooms with flat-screen TVs and signature Ibis bedding, choose the Standard Room for the best view of the Eiffel Tower. 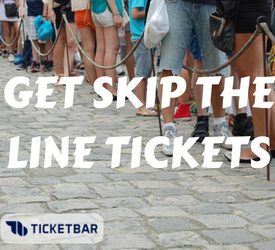 Traveling in a group? 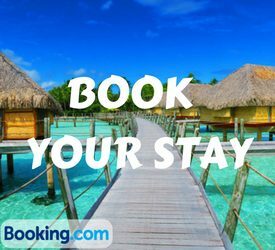 You might prefer to book together, as you can decide between a spacious Family Suite or two connecting rooms. 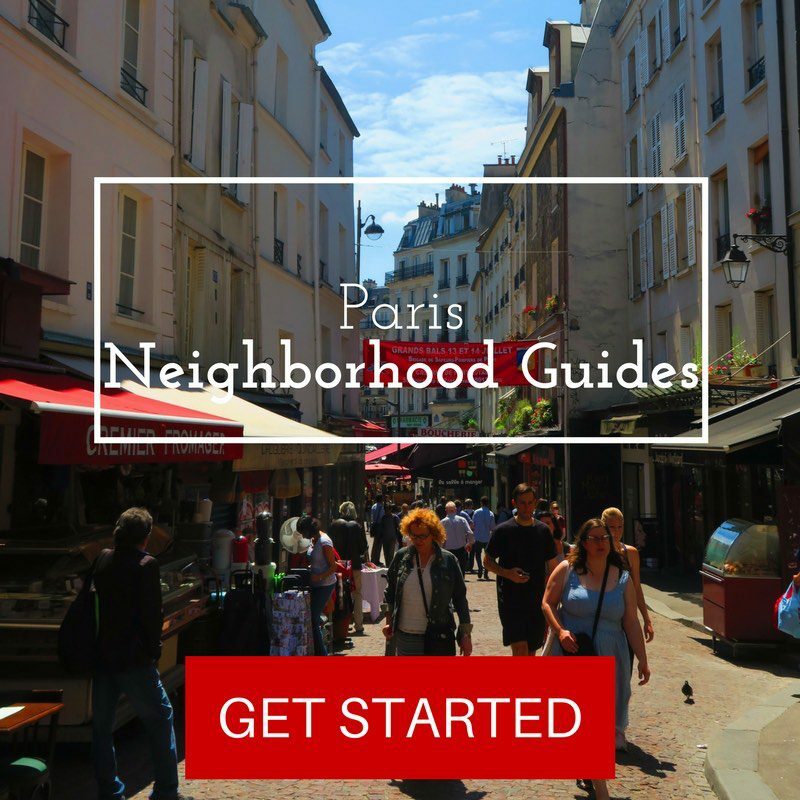 A perfect location to enjoy city walks, take a 15-minute stroll to the Eiffel Tower or hop on the Metro nearby to explore the surrounding neighborhood. If you’re in need of a dose of culture, view iconic masterpieces, such as Rodin’s famous “The Gates of Hell” structure, at the Rodin Museum just 20 minutes away on foot. Nestled on a quiet street around the corner from the Eiffel Tower, Pullman Paris Tour Eiffel is an elegant hotel with contemporary style, home to 430 high-tech rooms. Featuring flat-screen TVs, fiber-optic Wi-Fi and Nespresso machines, we recommend booking a Deluxe Room for a view of Trocadero and the Eiffel Tower from your own private balcony. Aside from the stunning views, HotelsCombined travelers rave about the excellent in-house restaurant, Frame. A California-influenced brasserie, the restaurant features a unique open-kitchen design that opens out onto a terrace. 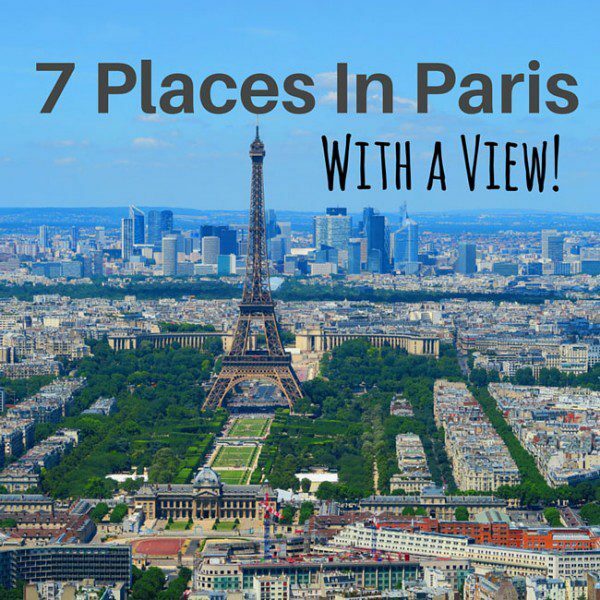 After you’ve indulged in the upscale cuisine, hit the gym for a view of the Paris skyline or access the city’s nightlife from the nearby metro station only a five-minute walk away. 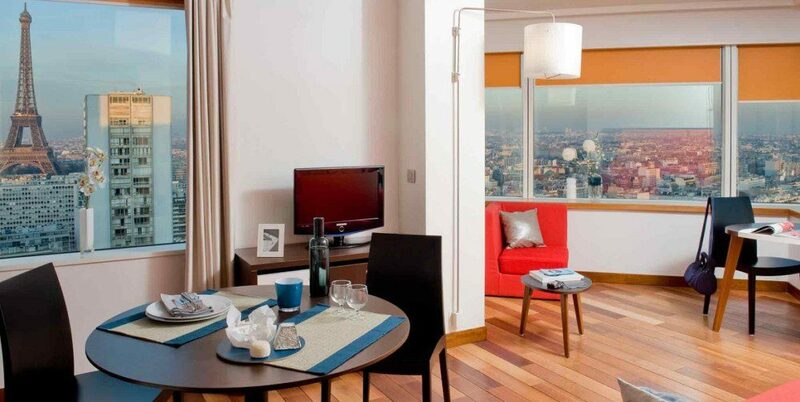 A solid choice for a family holiday, Adagio Paris Tour Eiffel offers a cozy ambiance with 375 luxury apartments, ranging from studios and spacious two-bedroom apartments. Accommodating up to four guests, the apartments feature separate living areas, along with a dishwasher, kettle and coffee machine. 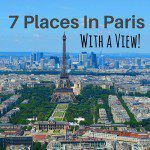 Only a 15-minute walk from the Champs de Mars Park, many of the rooms here feature panoramic views of the skyline and Eiffel Tower. Prepare your own homemade breakfast in the comfort of your fully equipped kitchen, or head to the property’s breakfast room for a scrumptious buffet spread of French delights. The kids will want to take a dip in the spacious indoor swimming pool, while the aparthotel’s easy access to the Champs-Elysees shopping area offers plenty of opportunities to purchase items that would make Coco Chanel proud. Nestled in the 15th Arrondissement of Paris, the residential area around Citadines Tour Eiffel Paris is a constant buzz of activity. On a romantic holiday? 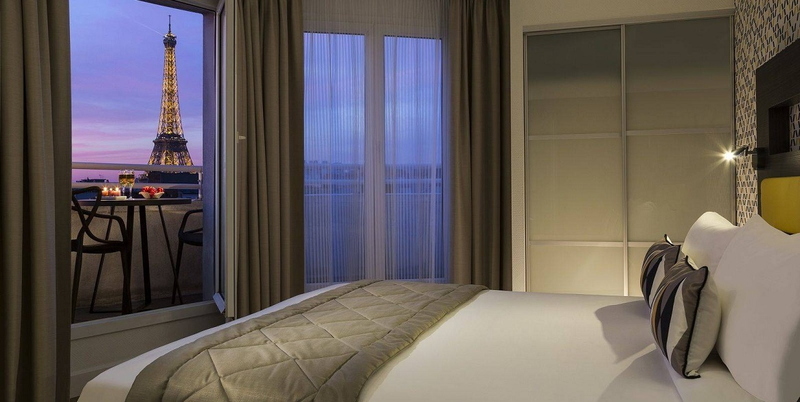 Book the Studio Eiffel Tower View if you’re visiting the City of Light with the one you love, while the One-Bedroom Apartment Eiffel Tower View is suited for larger groups and families, where a bird’s eye view offers a unique glimpse of the city below. Less than a 20-minute walk away, find the marble monument dedicated to love, called The Kiss, at Rodin Museum. Visitors can also head to the sprawling green space of Champ de Mars for a keepsake photo with the Eiffel Tower in the backdrop. Just a 10-minute walk from the Seine, Le Relais Saint Charles Paris is not only ideally located but offers 38 newly renovated. 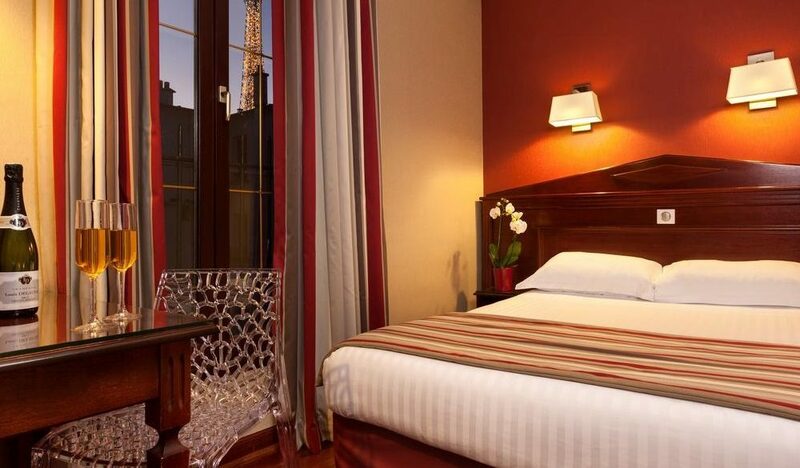 A handy tip that will take your trip to the next level, make sure to book the Superior Room to find an exquisite view of the Eiffel Tower along with high-quality bedding, a flat-screen TV and unlimited Wi-Fi. 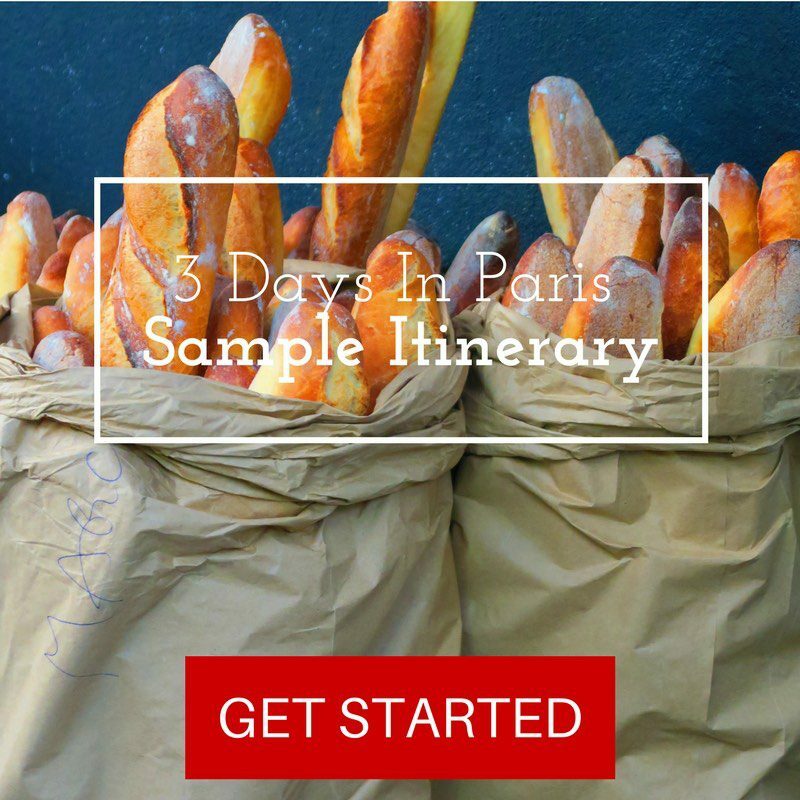 Wake up to breakfast in bed with warm croissants and pastries before taking a guided tour of Paris, whether it’s by open bus or a cruise along the Seine. Located in the heart of Granelle, independent travelers will find this hotel’s location an advantage, as its proximity to the Dupleix Metro station makes it easy to travel to Porte de Versailles, the Notre-Dame Cathedral, and Arc de Triomphe. Located on a quiet, semi-pedestrian street of the bustling Left Bank, Eiffel Rive Gauche is nestled in one of the most prestigious neighborhoods of Paris. With warm colors and exotic wood furnishings, the hotel makes a lovely setting for a romantic holiday away, while rooms that feature a private patio for gazing at the city below add a touch of luxury. Only 700 meters from the Eiffel Tower, here you’ll get fantastic views of the “Iron Lady” from the room’s double-glazed windows, but if you prefer to see it up close and personal you’re only a short 10-minute walk away. Don’t miss out on the hotel’s nightly “Cheese and Wine” happy hour, where you can savor the pleasure of sampling a variety of wines and cheeses. Considered the grand dame of luxury hotels in Paris, Shangri-la Hotel Paris is so close to the Eiffel Tower across the Seine that it feels like you can stretch out and touch it. Housed in a beautifully restored 19th-century mansion built for Prince Roland Bonaparte, the 101 rooms and suites boast classic French detailing with a gold and blue color scheme, where Eiffel Tower views can be found from your deep soaking bathtub and large rooftop terrace. If you appreciate old-world elegance, you’ll revel in the details of this hotel. With gold leaf embellishments, bronze wall reliefs and detailed ceiling murals, it feels like you’re staying overnight in a beautiful museum. With top-hatted doormen and a grand staircase, get the royal treatment as you indulge in the hotel’s five-star amenities, from free shoeshines to pampering spa services, Michelin-star cuisine, and a 15-metre mosaic tiled swimming pool. 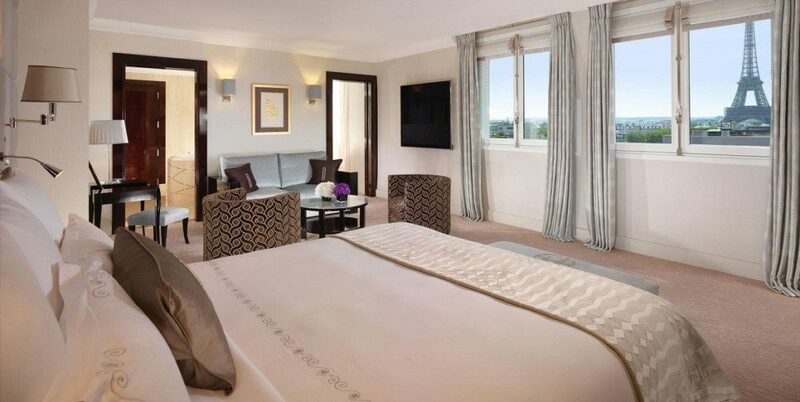 A legendary hotel in the heart of Haute Couture, Hôtel Plaza Athénée is located on the boutique-lined aAvenueMontaigne. With six floors of unique design, here you can choose from Louis XVI style or an Art Deco flair, while elegant period furnishings highlight the room’s vintage vibe. 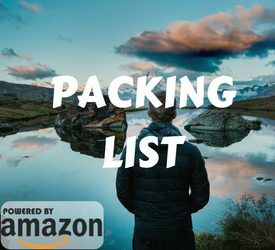 Ready to splurge on the ultimate luxury? Pamper yourself to an Eiffel Suite to find 18th-century glamor along with floor-to-ceiling Eiffel Tower views from your plush king-size bed. With five on-site restaurants led by a Michelin-star chef, you’re spoiled for choice in dining options, from contemporary French cuisine to the famed pastries. A perfect location for travelers ready to give their credit card a workout, stroll down the chestnut tree-lined sidewalk to find big name brands like Chanel, Dior and Louis Vuitton at your fingertips, while the on-site Dior Institut spa helps revitalize your skin with couture-inspired beauty treatments. 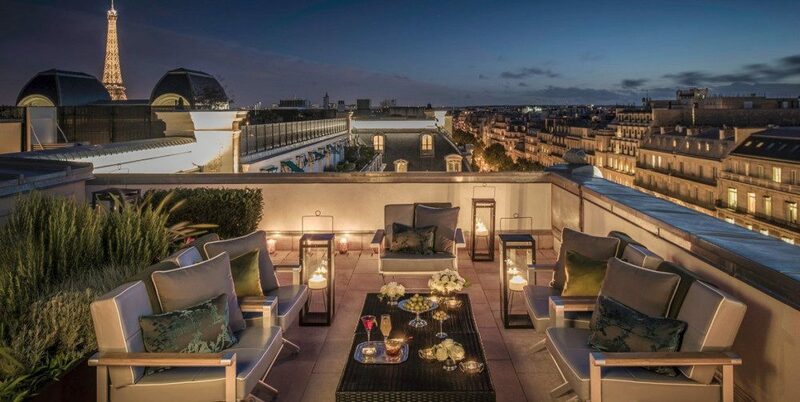 A lavish accommodation choice just steps from the Arc de Triomphe, The Peninsula Paris is one of the most sought after properties in Paris. With a choice between 200 rooms and 86 suites, here you’ll discover opulent interiors with elegant furniture and chic artwork, along with separate dressing areas, marble bathrooms, and high-tech details, from tablet-operated features to 3D flat-screen TVs. Pairing a high-level of service with its panoramic views over the city, this historic hotel is home to an impressive six upscale bars and restaurants.Those in need of pampering have found the mecca of all spas, as The Peninsula Paris is home to largest hotel spas in Paris, where eight treatment rooms, a Zen-like pool and waterfall wall will make you never want to leave. If you manage to peel yourself away, the hotel’s range of luxury chauffeured cars, including a vintage 1934 Rolls Royce, can whisk you around the city. A boutique hotel just a stone’s throw away from the Eiffel Tower, First Hotel Paris serves up elegant details along with rooftop views of Paris. 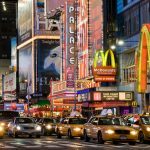 From Standard Deluxe Double rooms to a range of Suites, here you’ll find all the comforts of home in addition to a chance to peek at the city’s most iconic landmark at your leisure. Featuring modern black and white decor, the LCD TVs, sitting areas and blackout curtains add a touch of luxury. Couples review this hotel favorably on HotelsCombined, as its 24-hour room service, macarons and Champagne on arrival, and chic lounge make it an ideal setting for a two-person trip. 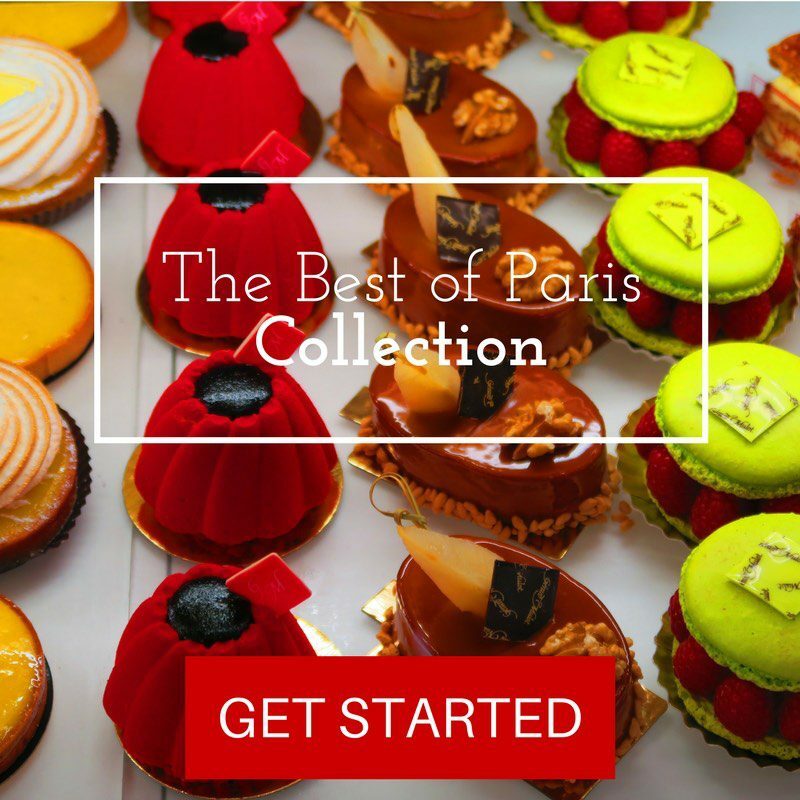 Just a five-minute walk from the Seine, the bakery next door tempts you with a delectable display of treats, while Musée d’Orsay, Champs-Elysées, and the Louvre are all within walking distance. 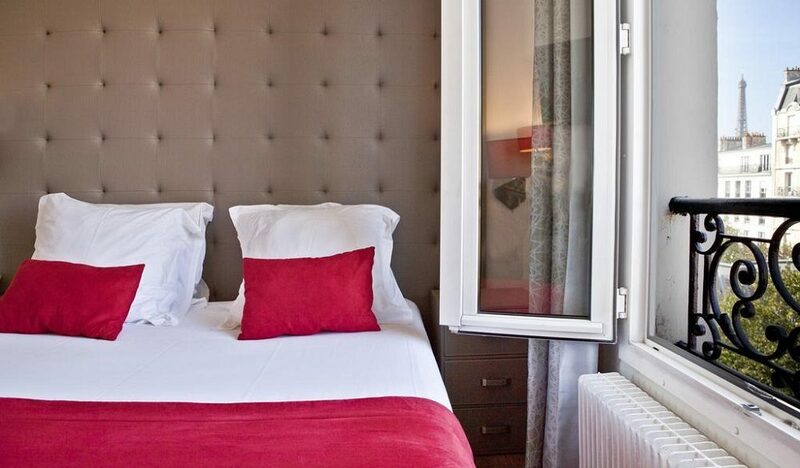 Just 200 meters from the Segur Metro station, Hotel Eiffel Segur is an excellent budget-friendly option for those wanting to stay in the chic 15th Arrondissement. 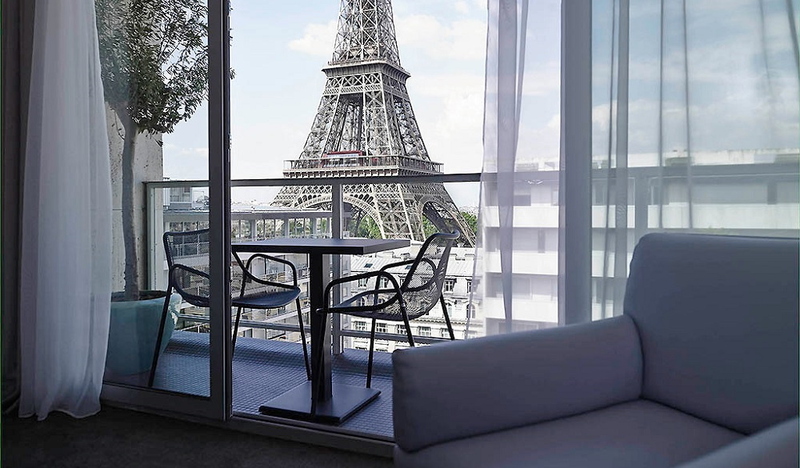 For the best view of the Eiffel Tower, book the Double Superior Room to find bright colors highlighting the room’s modern decor and contemporary furniture. Perfect for a nightcap or a pre-dinner drink, head to the hotel’s 24-hour bar or a refreshing drink in the quiet Inner Courtyard area. 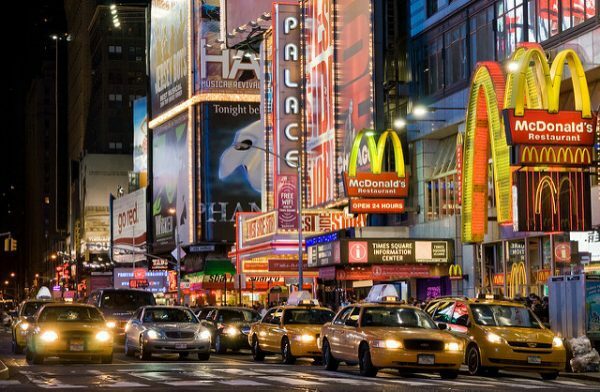 When you’re ready to explore the city, the hotel’s multilingual staff can provide helpful travel tips, arrange your transportation or book a table or show. Housed in a 19th-century building in the middle of Place de Mexico, Le Metropolitan a Tribute Portfolio Hotel is a sleek and contemporary hotel with a monochrome finish and granite accents. 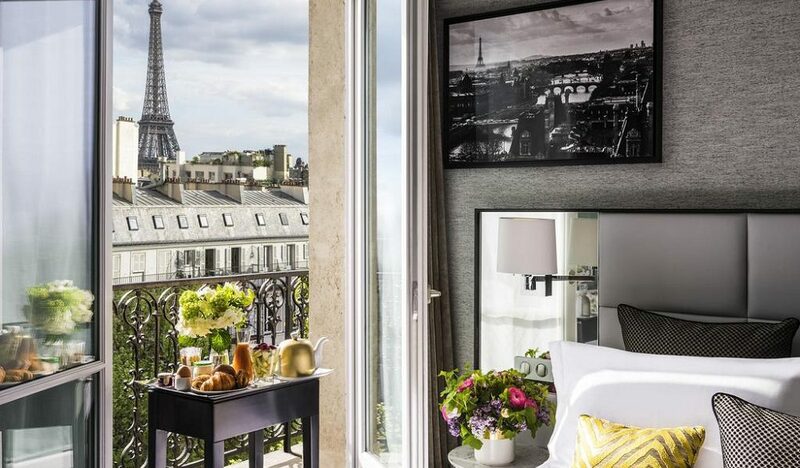 The hotel’s crown jewel, the Eiffel View Suite, offers views of the Eiffel Tower from small Juliet balconies in addition to spacious living rooms and marble bathrooms. Looking for a guilt-free dining experience? Le Metropolitan a Tribute Portfolio Hotel serves an innovative menu of locally sourced fare, while the cozy fireplace setting at the on-site bar and hotel’s pastry carts lure you for some holiday indulgence. After a day of sightseeing, rest your muscles in the Capri marble indoor pool and Hammam steam room, or book one of the pampering spa treatments. 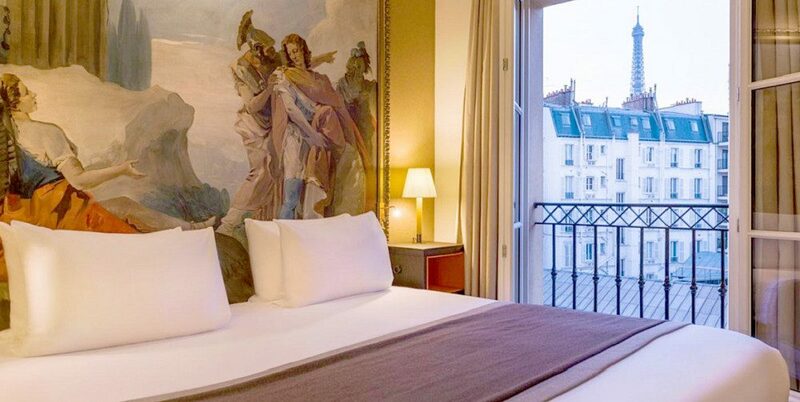 A boutique property located on a central avenue full of shops and restaurants, Hotel Le Walt is a short stroll from Esplanade des Invalides and Champ de Mars. The hotel’s airy rooms offer plenty of natural light with its open design layout, and rainfall showers and towel warmers add to the luxurious ambiance. Are you a fan of French art? An overnight stay in this hotel will feel like a dream, from the painter’s workshop-inspired decor to the bright watercolors that highlight the hotel’s lounge. Inspired by artwork found in the Louvre, the hotel’s Eiffel Tower View room offers art enthusiasts the chance to admire the shades of colors found in classic oil paintings. Located in walking distance from Champs Elysées and the Arc de Triomphe, Sofitel Paris Baltimore Tour Eiffel Hotel is the perfect home base for your Parisian adventures. Set in a historic building from the 1920s, you’ll find refined decor and neutral colors in 130 rooms and suites. 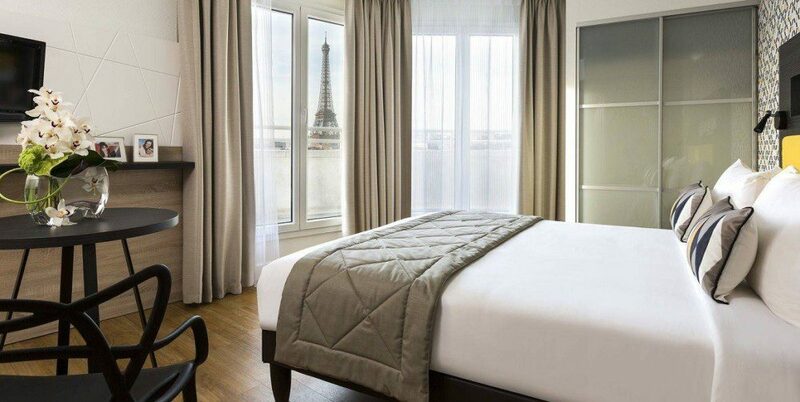 Along with the memorable Eiffel Tower room views, HotelsCombined travelers love the hotel’s comfy beds with luxury MyBed bedding. 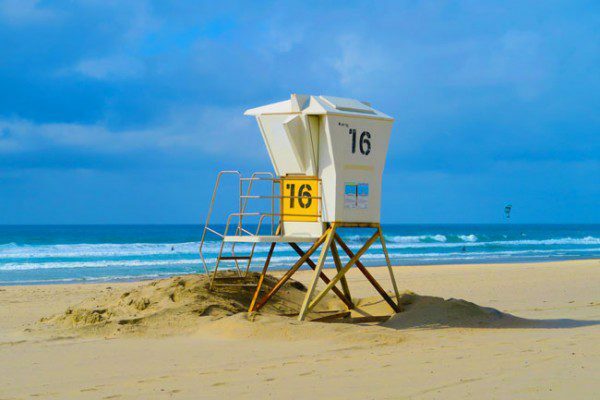 Need a place to unwind after a day of exploring? With dim lights and a warm ambiance, the Baltimore bar offers travelers an intimate place to relax, while the on-site Carte Blanche restaurant serves a creative menu of modern French gastronomy. Perfect for a date night, pair your meal with a glass of wine directly from the hotel’s cellar or walk off your meal with a scenic stroll along the Seine and past the Trocadero right around the corner. Considered the world capital for art, fashion, food, and literature, people around the world are drawn to the everlasting beauty and charm of Paris. 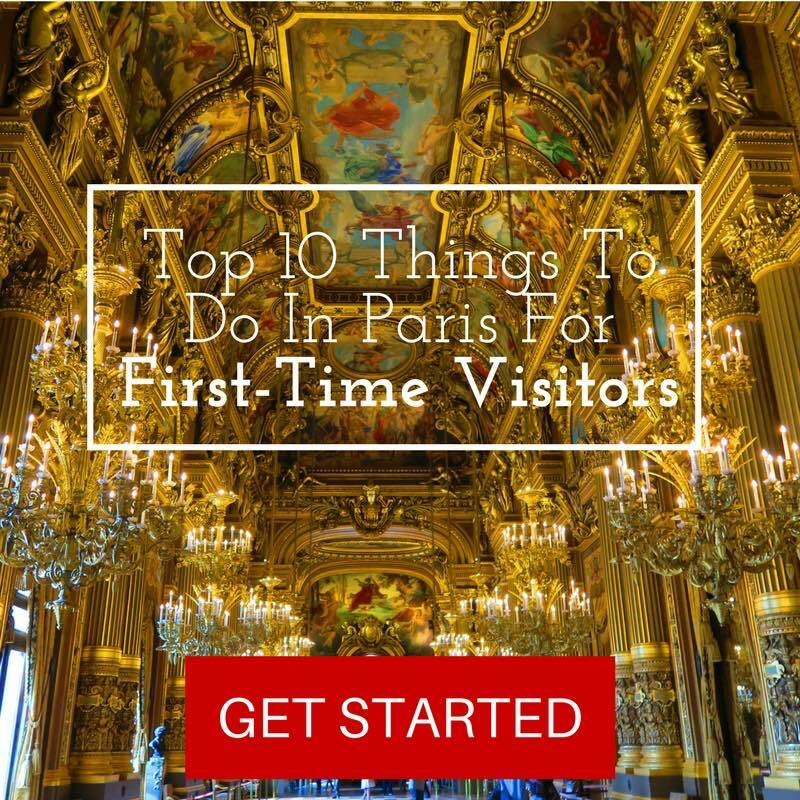 With iconic architecture at every turn, Paris captivates travelers with an array of stately museums, centuries-old churches and its most famous landmark, the Eiffel Tower. 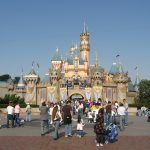 At HotelsCombined, we see a lot of travelers opting for hotels in Paris that feature on-site dining options, spa services, and a convenient location to explore the Paris’ top attractions. 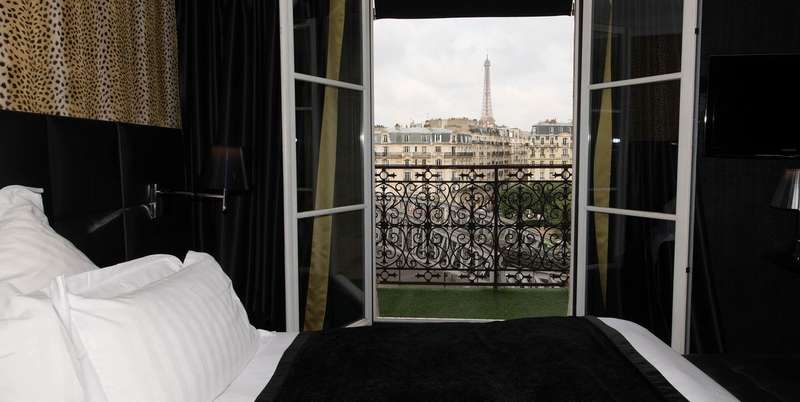 Hotels with Eiffel Tower views are considered the crème de la crème, giving you the chance to capture a sight of the graceful “Iron Lady” from the comfort of your own room. 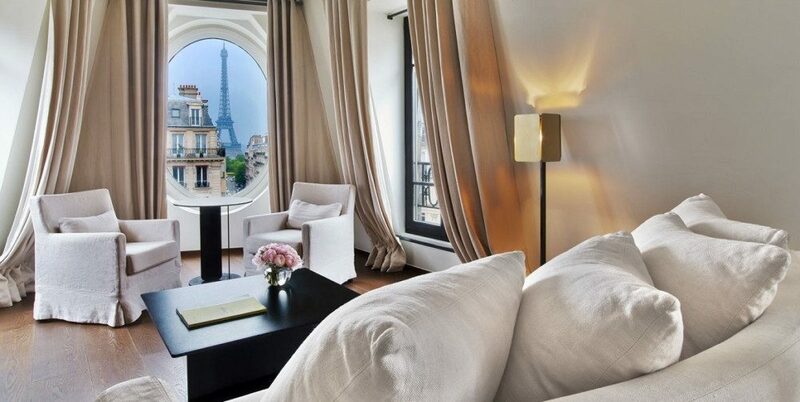 Where is your favorite hotel with Eiffel Tower views? Let us know if you’ve been to Paris and where you think is the best place to capture the city’s skyline. I would have added the Eiffel Seine Hotel (http://www.hoteleiffelseineparis.com) as a nice hotel with eiffel tower view.. i went there for christmas with my family and it was a lovely stay..
Amazing writing! 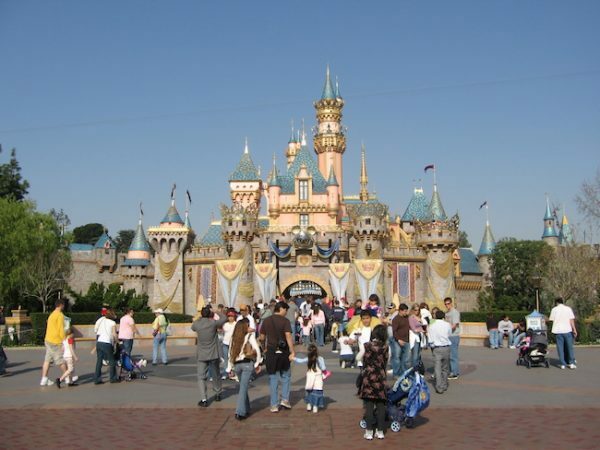 A lot of information is here for new travellers who are interested to visit here in paris. 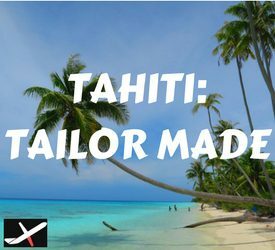 Spot on with this write-up, I honestly think this amazing site needs a great deal more attention. I’ll probably be back again to read through more, thanks for the information!